Receipt scanners are specialized scanners that are used to scan paper documents like invoices, bills and receipts, so that you can better manage these records. Once receipts have been scanned, you will be able to back up these records, organize your filing system better, and make tax filing a less stressful time of year. Scanned receipts are also helpful if you hire a virtual assistant to support you with administrative tasks. 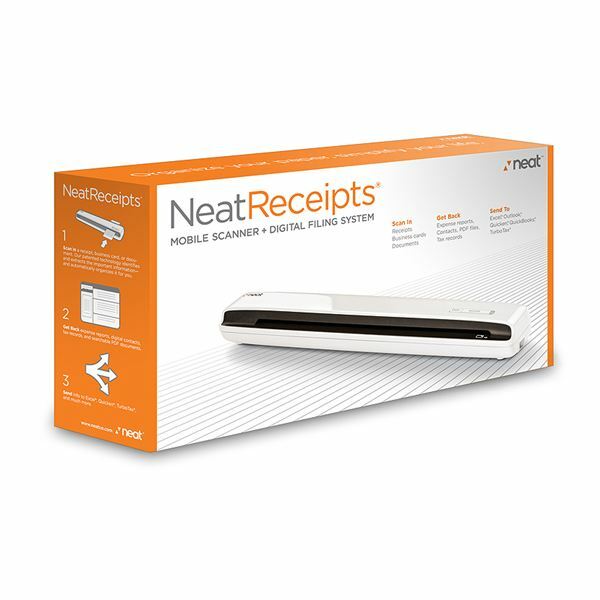 Made by the Neat Company, the NeatReceipts product combines a scanner with specialized receipt processing software. The scanner software is designed to detect business names, addresses, phone numbers and other vital pieces of information. The scanned information can be managed with NeatWorks alone, or it can be exported to Microsoft Outlook. As of 2011, the manufacturer's price for this receipt scanner was $199 but you may be able to find it for less elsewhere. NeatReceipts is compatible with both Windows and Apple computers. 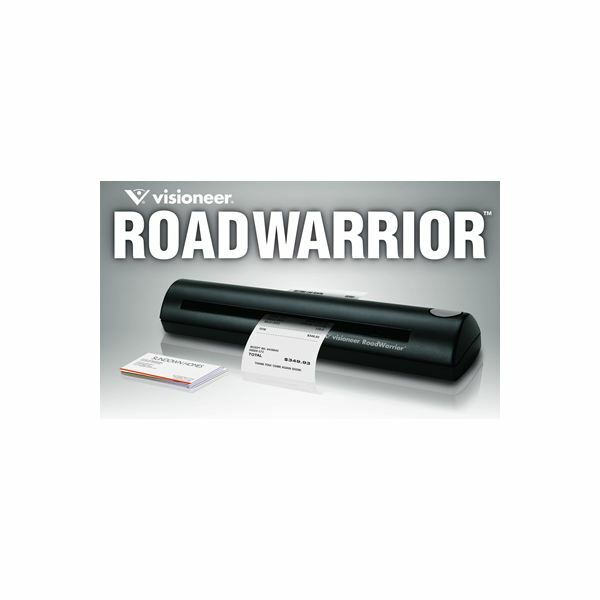 The Visioneer RoadWarrior receipt scanner is well regarded for its high resolution (600 dpi) and ability to scan and process colour documents. This scanner is designed for business travelers, and those needing to scan documents on the go. It weighs about 10.6 ounces (0.3 kg) and scans a full page of text in one minute. The scanner's software is also designed to process business cards. Visioneer currently sells this product for $199. This desktop scanner scans colour and black and white documents at a rate of eight pages per minute at 600 dpi (pages can be scanned faster in black and white mode). The scanner's software can produce both JPEG and PDF documents from the scans. The duplex scanning function means that the device can handle a stream of documents; you do not have to feed every single item one at a time. The main disadvantage of this product, compared to the Visioneer or NeatReceipts, is the weight and bulk of the Fujitsu product, as it weighs about as much as a small netbook computer (three pounds). Prices for this scanner range between $295.00 – $399.99. Sometimes small business owners just do not have time to run their papers through a scanner, and then organize the files in a useful fashion. To use Shoeboxed.com, mail or courier the documents to their office and they will then scan, process and organize the documents for you. The service also provides an iPhone app for self serve scanning. Additionally, users can email receipts for storage and organization by the company. Shoeboxed.com fees can be paid monthly or annually; monthly fees range from about $10 a month to $50 a month depending on the level of service needed. Most of the options reviewed here are devices that you can connect to your computer, but this is not the only technology you can use for scanning receipts. With the right application, you can scan documents with iPhone app. While this option is very portable and convenient, the drawback is the lack of specialization in receipts scanning, it's also only budget friendly if you already have an iPhone. An iPhone scanning app ultimately relies on the iPhone's camera, so keep in mind these limitations when considering this option. When deciding which scanner best serves the needs of your home office, make sure that the scanner you choose is compatible with your computer, and that you have a system to effectively organize your receipts.